You don't have to actually fight fires to wear these, but you can look the part! 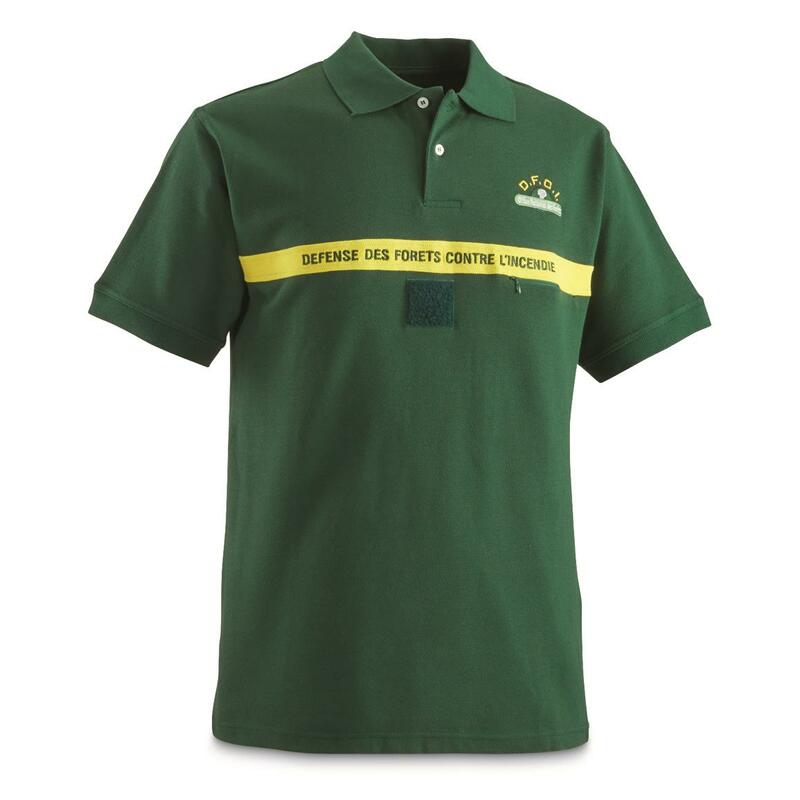 This 2-pack of French National Forestry Surplus Polo Shirts are brand new and made from 100% cotton for lightweight comfort. 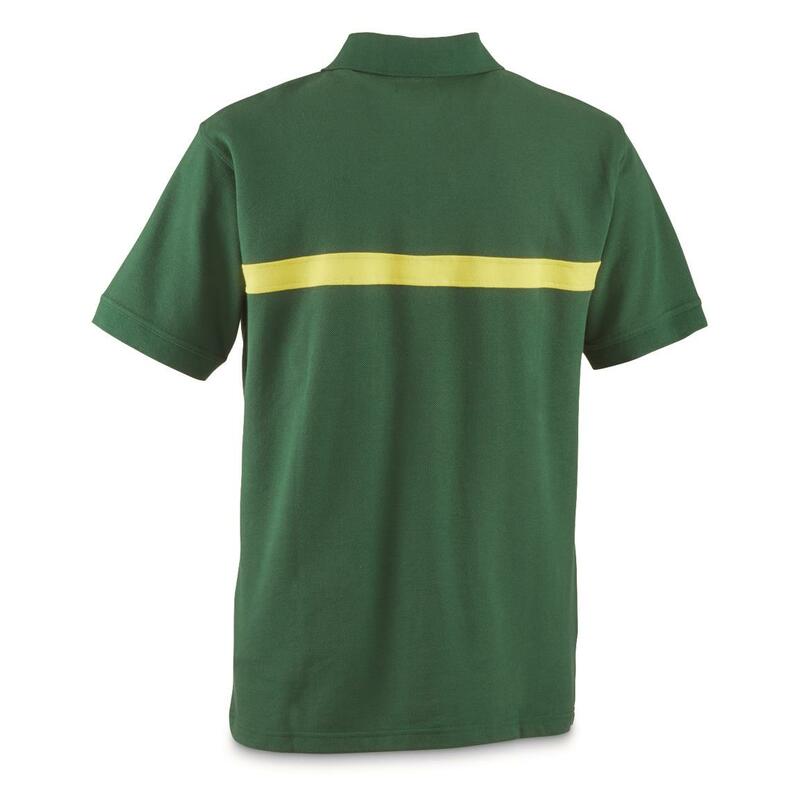 Bold yellow stripe across the chest with "Protection of Forests Against Fire" written in French will surely start a few conversations.